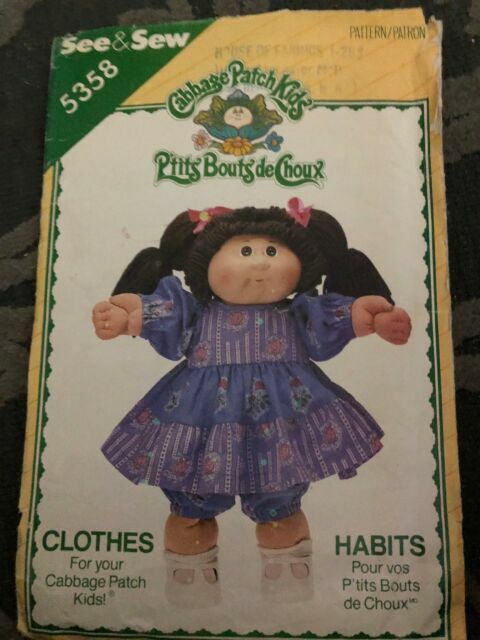 The year that Cabbage Patch Kids came out, it was the only thing my daughter wanted for Christmas. Her Christmas wish was my only experience in Black Friday shopping. We fought the crowds and looked everywhere for one and everywhere was sold out. Lucky for me, a good friend was a very talented seamstress. She agreed to make a kid if I paid for the materials. I waited with bated breath, wondering if she would be able to finish the doll by Christmas. A few days before Christmas she called to tell me the doll was ready. I was a bit disappointed because she had been unable to find flesh-colored cloth and had used white cloth instead. However, other than skin-color it was an exact replica. My friend even included a Cabbage Patch birth certificate, just like that of the 'real' dolls. Still, I worried that my daughter would see her doll was different than the store-bought dolls. On Christmas morning, I found that skin-color didn't matter to her. She was thrilled with the doll and immediately gave her the name she had saved for her. Suzy became her constant companion. The following October, I bought a "real" Cabbage Patch Kid for her birthday. I don't remember if she even named it. Suzy was my daughter's BFF all day long and at every bedtime. The other kid was just a some-time playmate.